Description: To 8cm long. 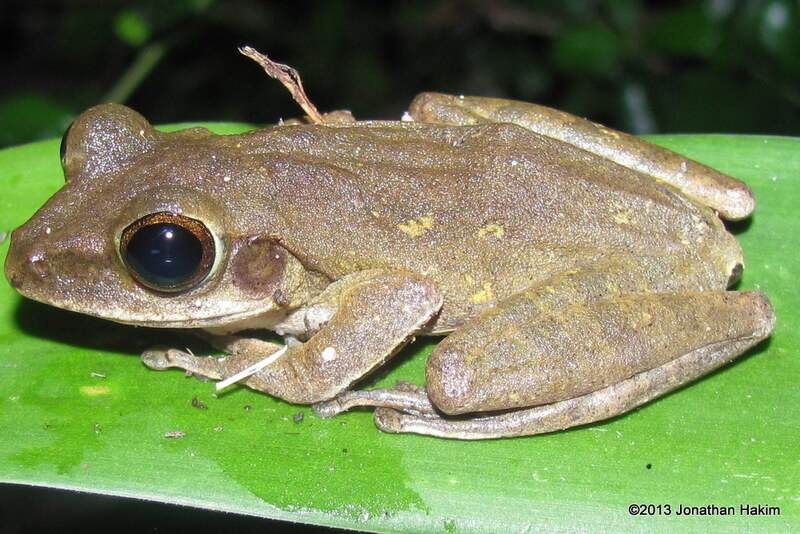 Has the characteristic large head, flattish body, long legs and toes, and adhesive toepads of a treefrog. 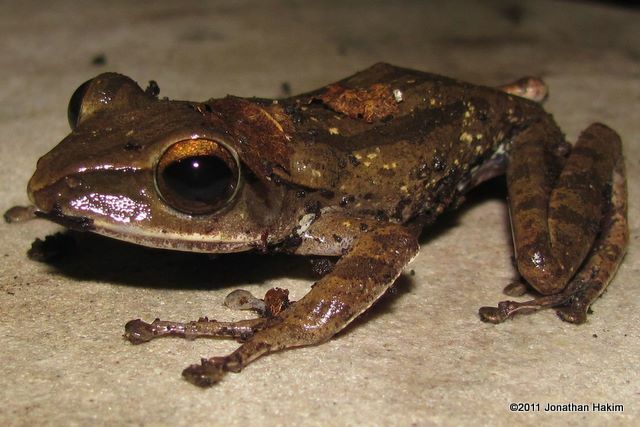 Body coloration is variable, but is usually brown or gray with a dark W-shaped mark on top of the head and a black stripe on the front of the side. Some specimens have other markings, including four indistinct lines across the back. 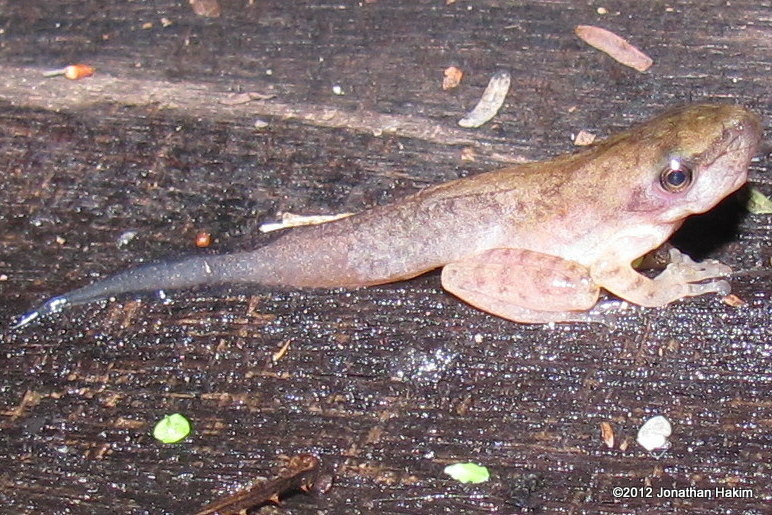 Tadpoles are up to 5cm long with a tall tail-fin that narrows to a point. They are grey-green to brown on the top, silver on the bottom, and have a dark stripe on the side of the tail. The eyes are far to the sides and mouth is on the bottom. Call: The most common call is a single “QUACK” that bears a resemblance to a quacking duck. It also can make what has been described as a “throaty chuckle”. 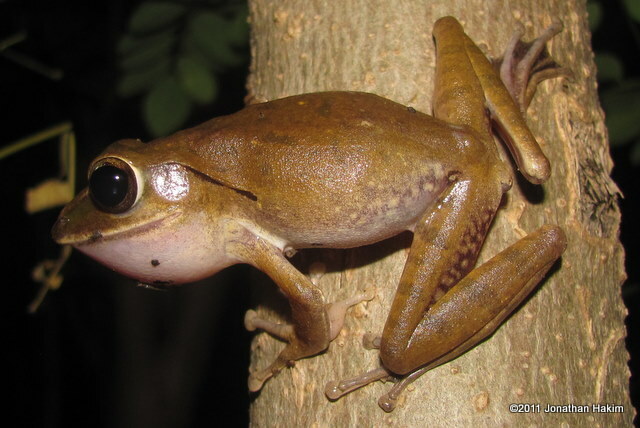 Similar Species: The flat body and long legs distinguish the Four-lined Treefrog from most other types of frog in Bangkok. 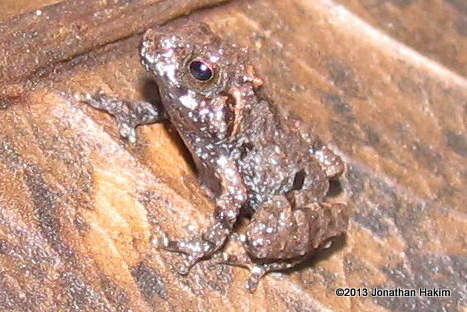 The Inornate Froglet, which is also rather flat, is much smaller with a narrower head, patterned body, and no toepads. 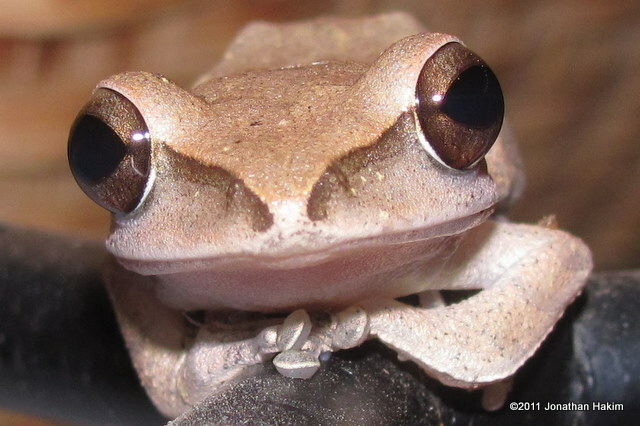 Habitat: Found in wetlands, forests, city parks, and gardens. 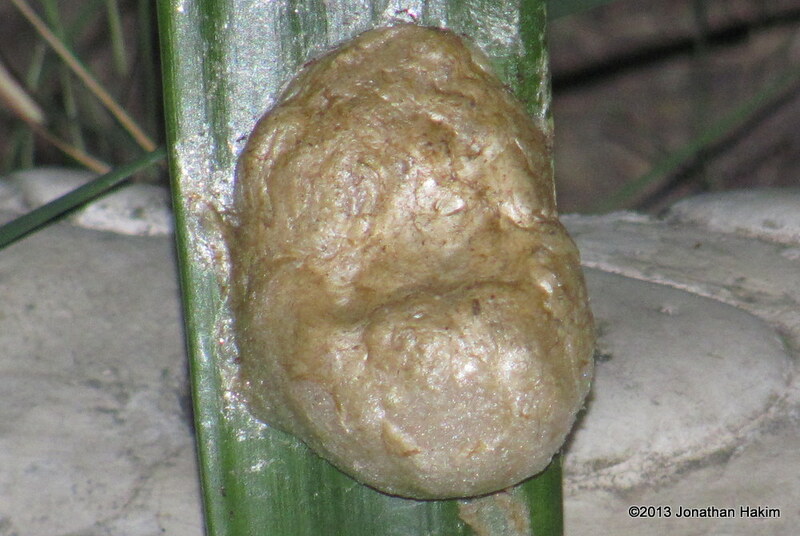 Occasionally is seen on the ground, but more often will be off the ground on bushes, trees, or the walls of buildings. 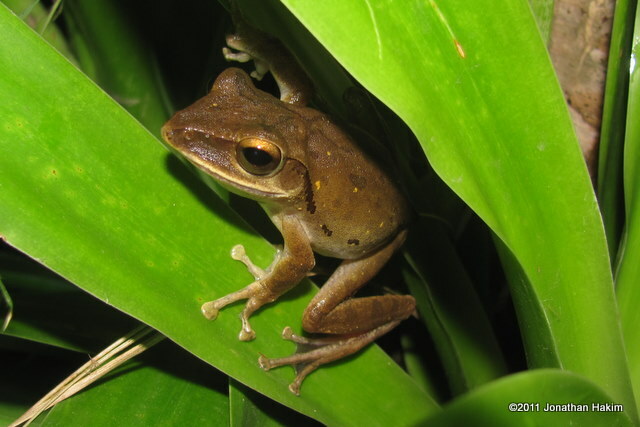 At night the frogs hide inside of hollow trees or within thick vegetation. Breeds in ponds and ditches. Contribution to the ecosystem: Helps control insect populations. Provides food for snakes, birds, and lizards. 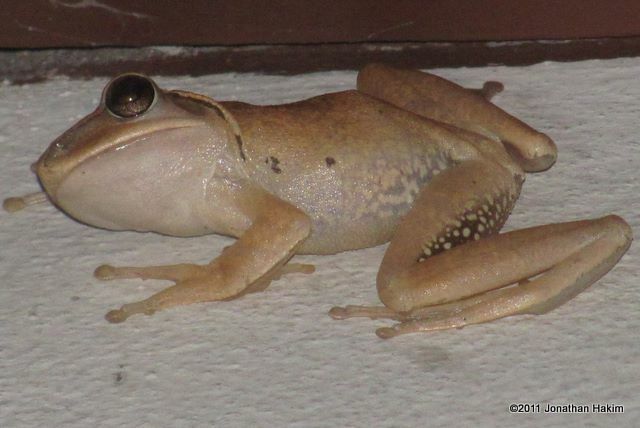 Danger to humans: This frog poses no danger to humans. 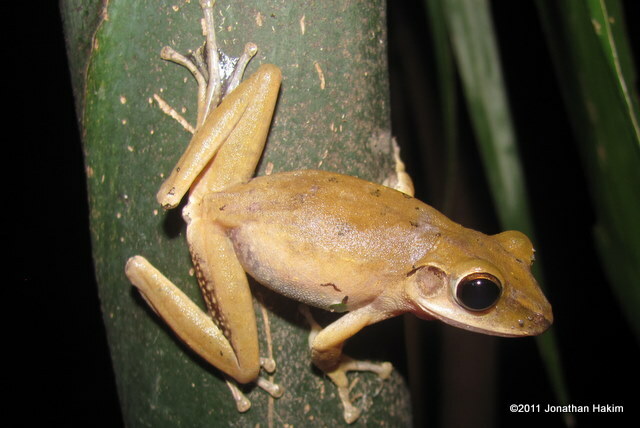 Conservation status and threats: The Four-lined Treefrog is not considered to be at risk because of its wide distribution, ability to tolerate a wide range of habitats, and healthy population. It has been introduced to Japan, the Philippines, and New Guinea. 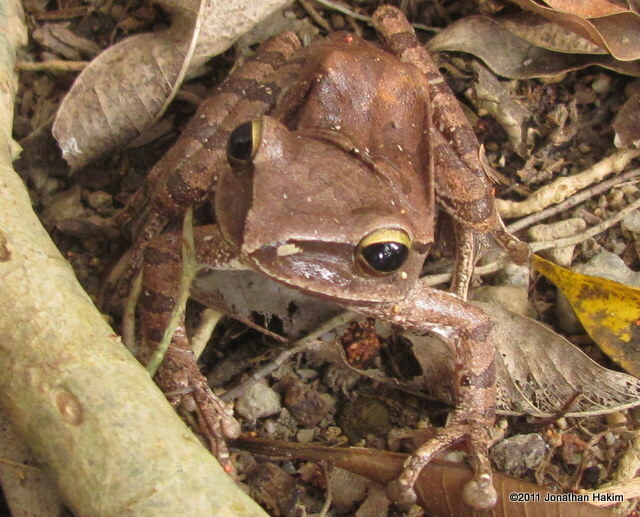 This species is believed to contain a number of different, cryptic species. More research will likely cause the species to be split up into several different species in the future, some of what may potentially be more threatened than others. 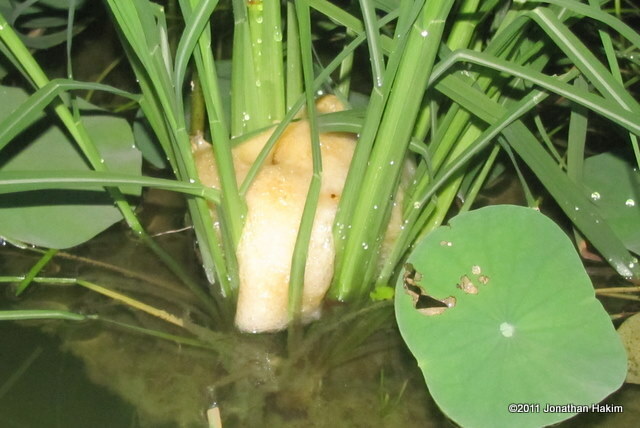 Interesting facts: During the breeding season mating Four-lined Treefrogs will lay over three hundred eggs in a 10cm wide foam nest that hangs in vegetation over the water. 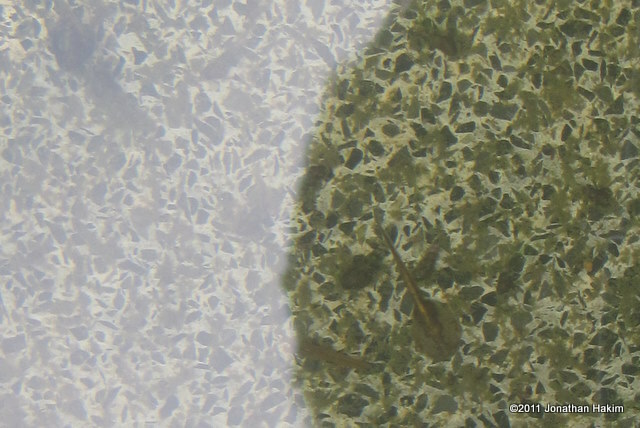 When the eggs hatch, the tadpoles drop into the water to start their life. This method of egg-laying keeps the eggs safe from aquatic predators while they develop.